Downtown Jeffersonville is a reflection of our community’s image, pride, prosperity, and level of investment. 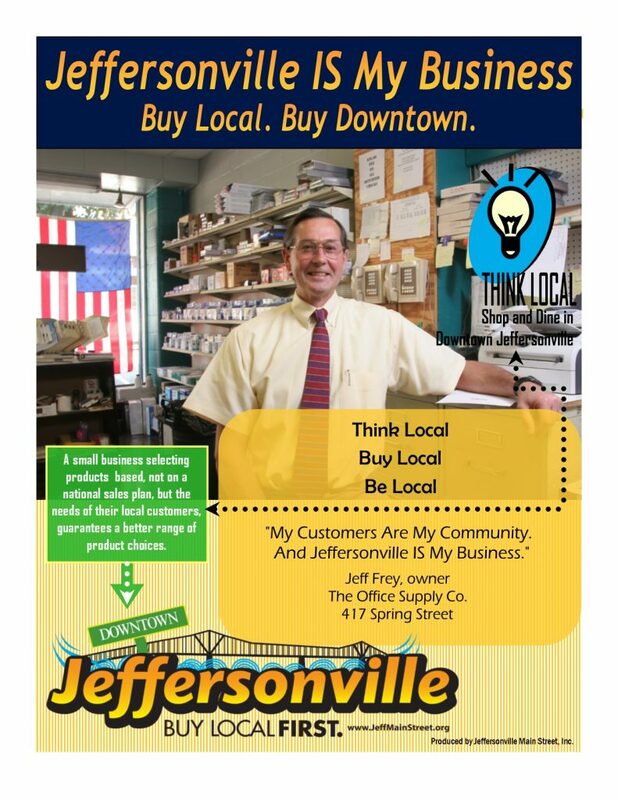 Downtown is everyone’s neighborhood, regardless of where you live in Jeffersonville. Downtown Jeffersonville is a prominent employment center. Downtown represents a significant portion of Jeffersonville’s tax base. Downtown Jeffersonville is the historic core of the community. A vibrant Main Street core protects property values in surrounding residential neighborhoods. The Main Street district offers convenience to neighboring residents by providing walkable access to shops and restaurants. Downtown Jeffersonville is the center for government offices, the library, the post office, as well as an important service center for attorneys, physicians, insurance, and other services. Our Main Street district provides an important civic forum for people to congregate at parades, special events, and festivals. 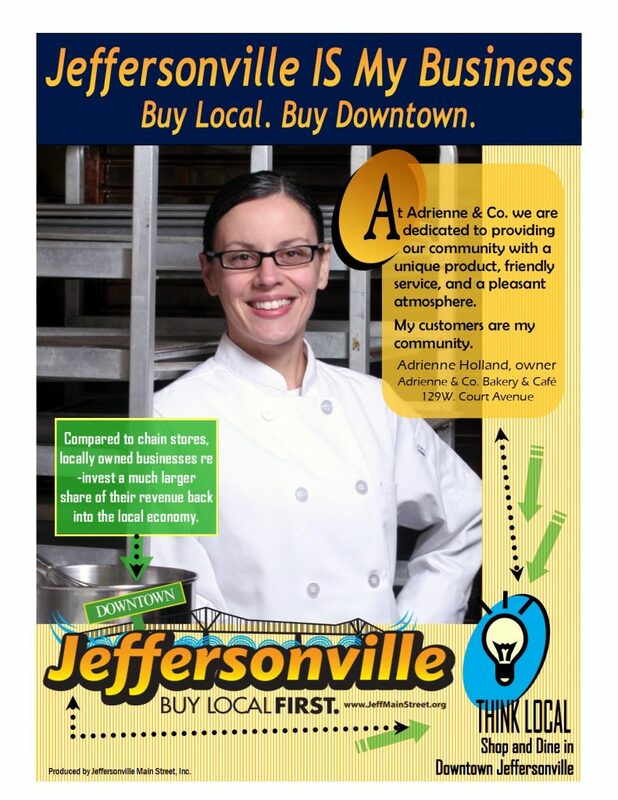 Downtown Jeffersonville represents a huge public and private investment. Imagine how much it would cost to re-create all of the buildings and infrastructure in downtown. These are just some of the reasons your Main Street is important and needs your support! 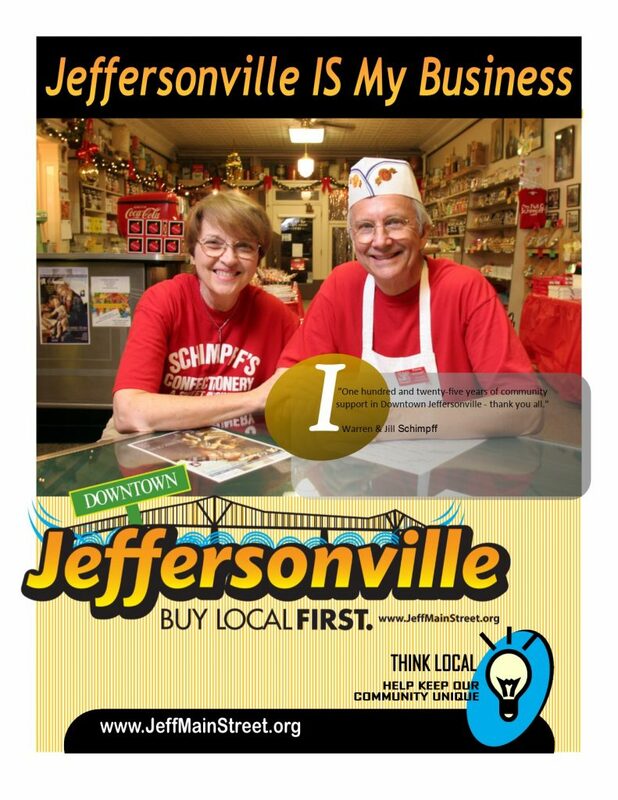 Shop here, eat here, play here – get to know your local businesses and all they have to offer that makes Downtown Jeffersonville wonderful. If you haven’t been to Downtown Jeffersonville, then you haven’t been to Jeffersonville!